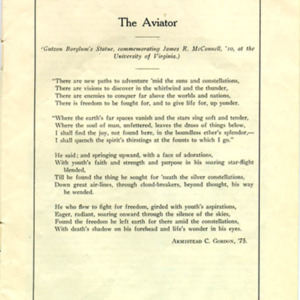 "The Aviator" by Armistead C. Gordon, Class of 1875. 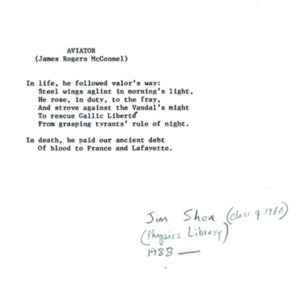 "Aviator" by Jim Shea, Class of 1960. 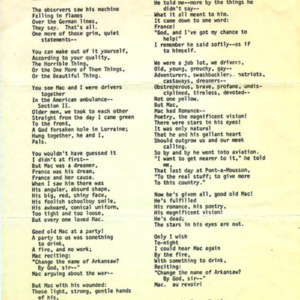 ← Legacy of "The Aviator"